2 O-scale, 1 HO-scale and 1 N-scale tracks. This layout has been up since opening the store. 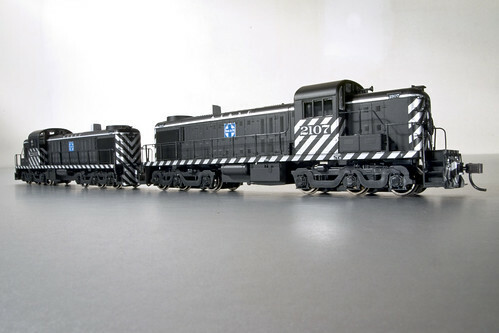 Two Atlas ALCO RSD-4’s in HO scale. The Santa Fe purchased ten of these 1,600 hp units brand new from ALCO in 1951. Tribute for Southern Pacific ACs and F units on my HO layout. Part II. Created on August 22, 2011 using FlipShare. Sorry, I know my camera is not good with close-up Detail. I thought it was time to show all you what I’ve been doing & got in HO Scale. I know many of you have been wanting more HO Scale videos such as Seaboard1321 & Hobbydude1000. Well, here it is enjoy. All the info is in the video. Video property of metraF40PH163. this is my Silver Moonlight Express H.O. scale train collection and it cost me 00.00 to get the complete set, so i thought i show it to you, to show my dedication to the wolves. BAN WOLVES HUNTING AND SAVE THE WOLVES!! !